If you have been living in your home longer than 2 years, there are probably items you look at daily, haven’t used since Day One of living in your home, yet you see no problem continuing to own them. However, you may also wish you had more storage space in your garage, basement, drawer, cabinet, or closet. So, how do you create more space? Walls of a home don’t expand as the waistband does on a pair of sweat pants, and building an addition on your residence is probably a far-fetched idea. Could there be another solution? I invite you to look HARD at the items that have been untouched for a long period of time. During my 18 years with the military, we moved frequently. I got sad every time we had to leave good friends, but I also loved change. Moving was exciting to me since I had to review every item in a closet, drawer, and cabinet. Once we arrived at a new home, I enjoyed a fresh beginning and the chance to review our household items once more before finding new places to put them. 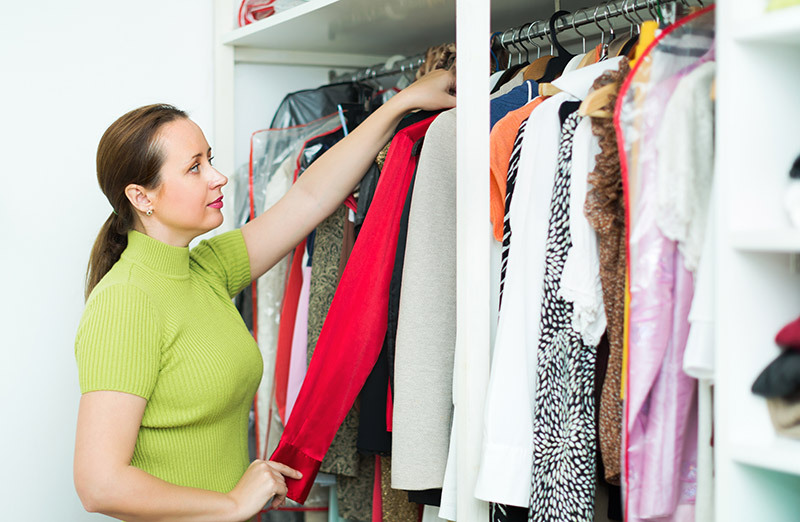 I have lived in my current home for more than 9 years and am shocked to see how many things are neatly stored away in a tote or closet that haven’t been touched for years! It has not been easy, but in the past few months I have forced myself to look around my home at familiar but unused items with a cold eyes approach. It has been cathartic to sell, donate, or give away many items that faced a dead-end future under my roof. Gaining floor/shelf/drawer space and not missing anything is a great feeling! The joy I recently got from giving away several items to 3 very appreciative families was priceless as well. If storage space is an issue for you, consider waking up tomorrow and looking at your stuff with a COLD EYES approach.